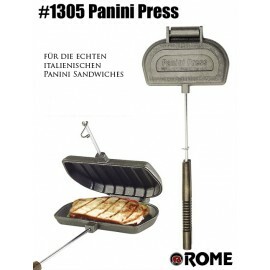 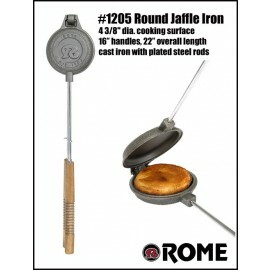 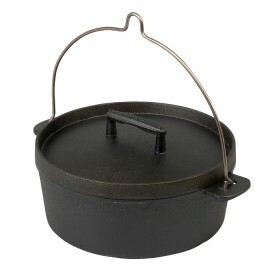 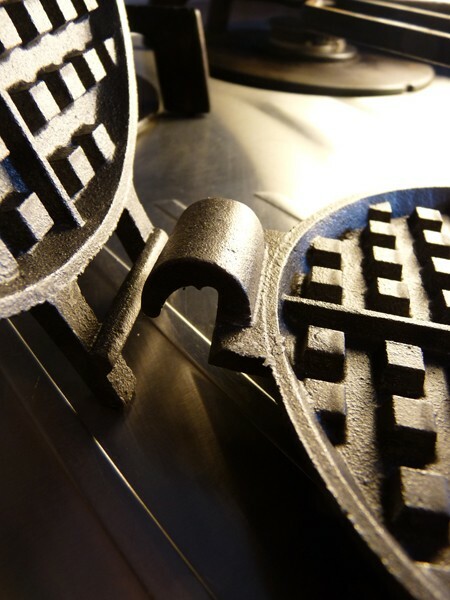 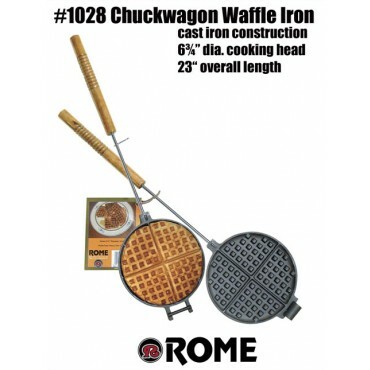 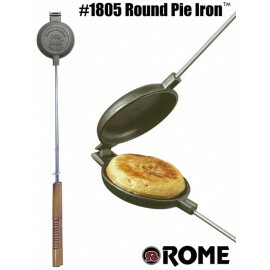 Rome Chuckwagon cast iron waffle iron in the classic round design. 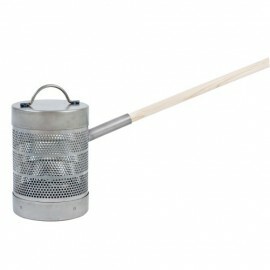 We've added 16" long wood and steel handles for use on a BBQ grill. 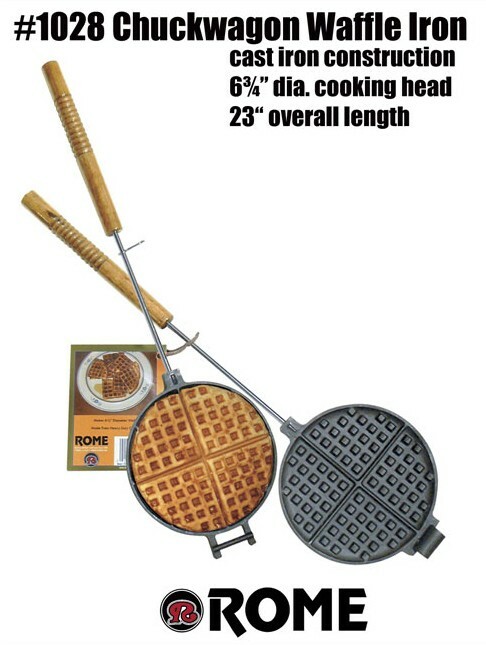 23" overall length. 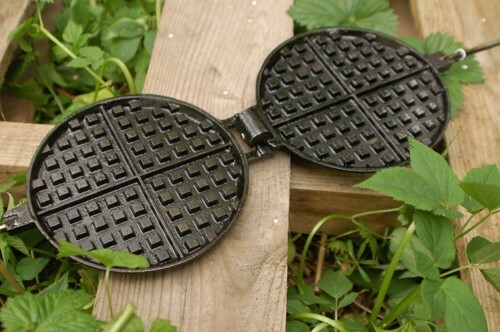 Makes 6" diameter round waffles. 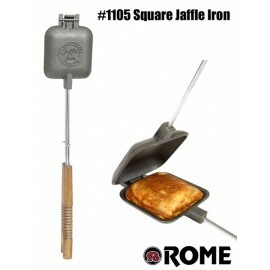 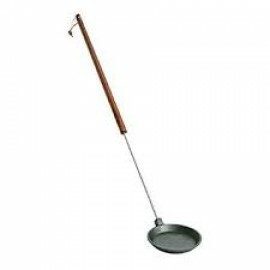 Good for BBQ grills, 2 burner camp stoves or over a campfire. 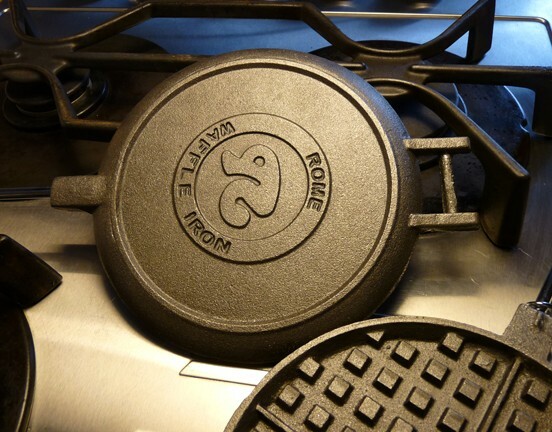 Complete recipes and instructions Included. 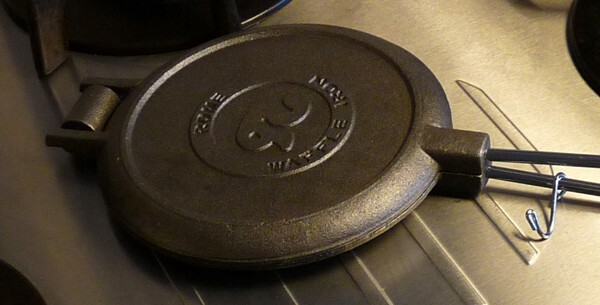 10 year warranty. 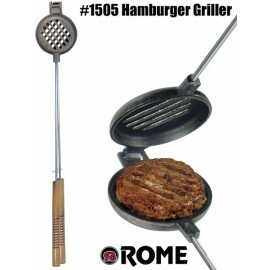 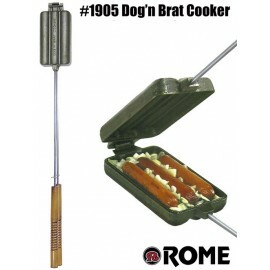 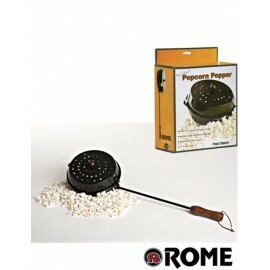 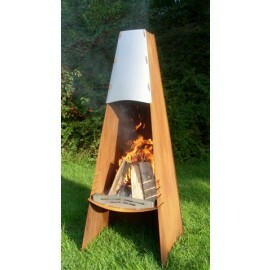 An original design made by Rome, a specialist in around the fire fun since 1964. 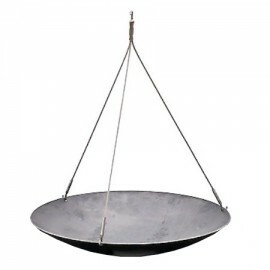 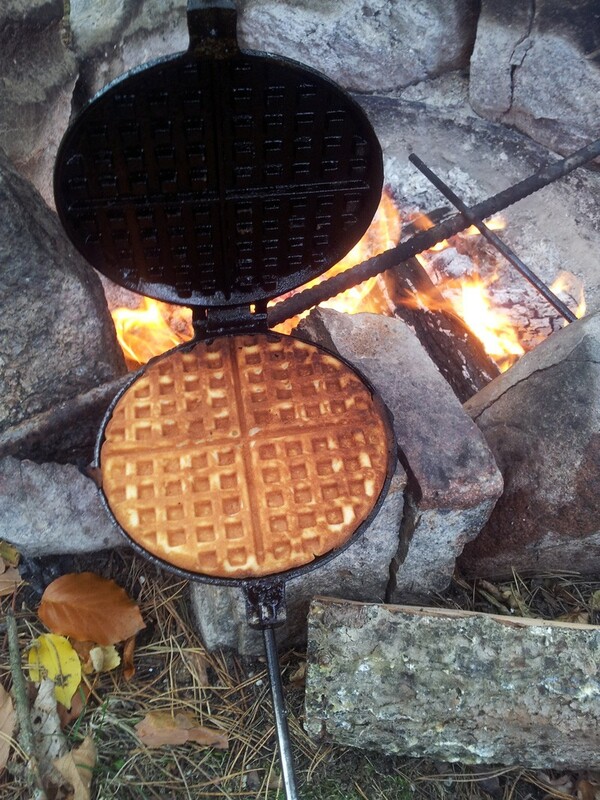 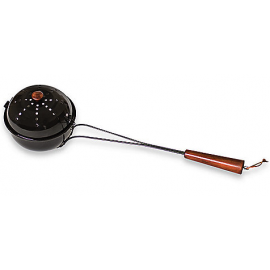 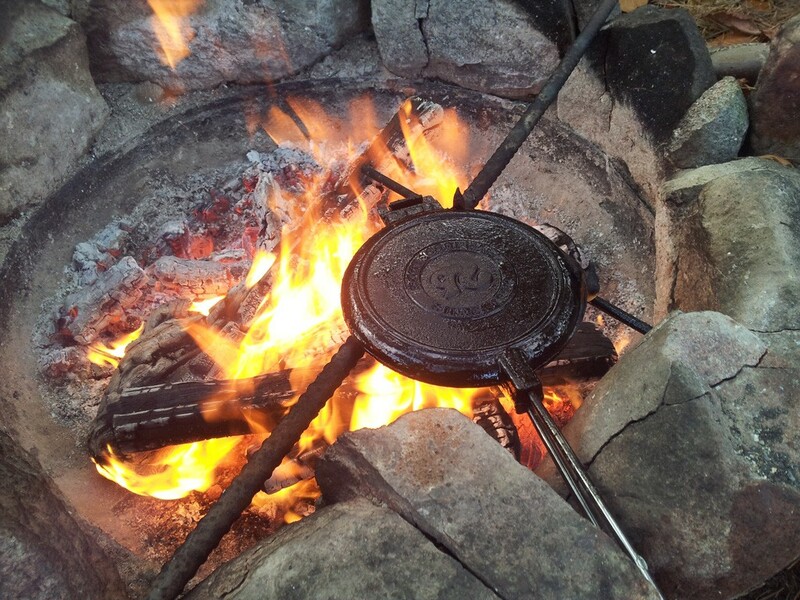 The chuck wagon waffle iron makes 6" diameter round waffles and is designed for use on grills, campfires and firepits (when placed on a flat surface such as a grill grate.) 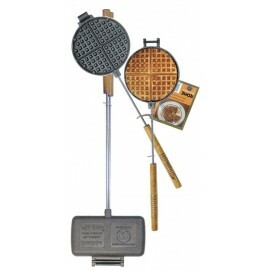 The waffle iron features 16" wood and steel handles that are removable for easy cleanup & stroage.